Founded in 1948, we continue to bring world-class musicians and exciting young performers to Perth. In 2017 we passed the milestone of hosting our 400th concert and in 2018 we celebrate our 70th Anniversary. Our concerts take place in the 800-year-old St. John’s Kirk, one of Perth’s best chamber music venues, and you can always relive the experience or whet your appetite by reading the reviews. The 2017-18 season concluded on the 7th March with the final recital in Perth of the Schubert Ensemble who are disbanding after 34 years. 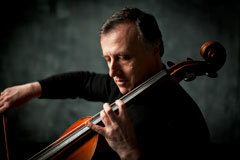 The 2018-19 highlights include the international cellist Raphael Wallfisch, the talented young Maxwell String Quartet, and the vibrant Scottish quintet Arctic Winds. All concerts, except for the Maxwell String Quartet, take place in St. John’s Kirk, Perth. If you are visiting Perth we hope you can come to one of our concerts, and if you live locally our season ticket offers a great discount of 25%. The Perth Chamber Music Jubilee Bursary competition was created to mark the Golden Jubilee of the Society in 2008. The aim is to support and encourage local school children interested in making music and continuing their musical education, after leaving school. The competition is open to all pupils who have attended school, for at least twelve months in the Perth and Kinross area, or who live in the area. They will be expected to have reached Associated Board Grade 8, or, if in the opinion of their teachers, they are of that standard. Application is by a written form and supported by their teacher. 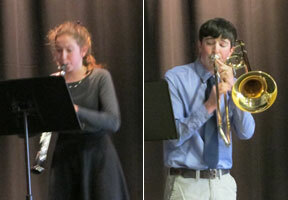 A short list of five or six candidates will be selected to present and play at least two pieces of their own choice, in front of an audience of their supporters and PCMS members. They will be judged by a panel of three independent judges. The Bursary competition is held in March and judged by three adjudicators appointed by the Society, with significant monetary awards to the first two (at present £300 and £200) and up to four minor amounts. We have been supported in being able to do this by the Cairncross trust, and the generosity of members of the Chamber Music society. 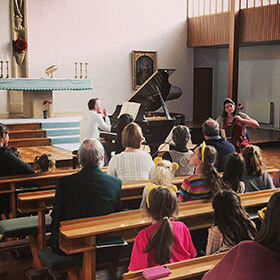 Alongside the concerts in St. John’s Kirk, Perth Chamber Music organises music workshops, taking visiting musicians into local primary and secondary schools. The support of The Thomson Trust, Enterprise Music Scotland, The Guildry Incorporation of Perth, Carbon Financial Partners and Perth and Kinross Council is gratefully acknowledged. For reviews of the workshops, see the Music Workshops page.